Right click on the program you want to uninstall, and the process will only take a couple clicks. Restart the computer. This should resolve any conflicts that might have prevented uninstallation from completing. 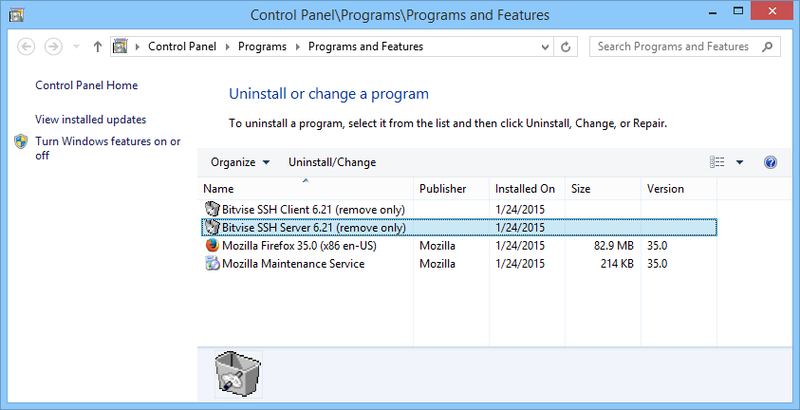 If the product you're trying to uninstall is still listed in Add or remove programs, run the uninstaller again. If Add or remove programs no longer lists the product, verify that it has been removed by checking its installation directory using Windows File Explorer. You should find that the program's files have been removed. If you continue to experience trouble, please contact us, and we will do our best to help you resolve the issue. The best way to report a problem is to open a support case, attaching screenshots showing the problem you experience.